On the other side of the river, far from Ingla’s home base of Turnpike Lane, lies the impressive Royal Borough of Greenwich. This leafy enclave on the bank of the Thames used to be the seat of the once-great British naval empire, and where the Tudors had one of their ornate palaces. 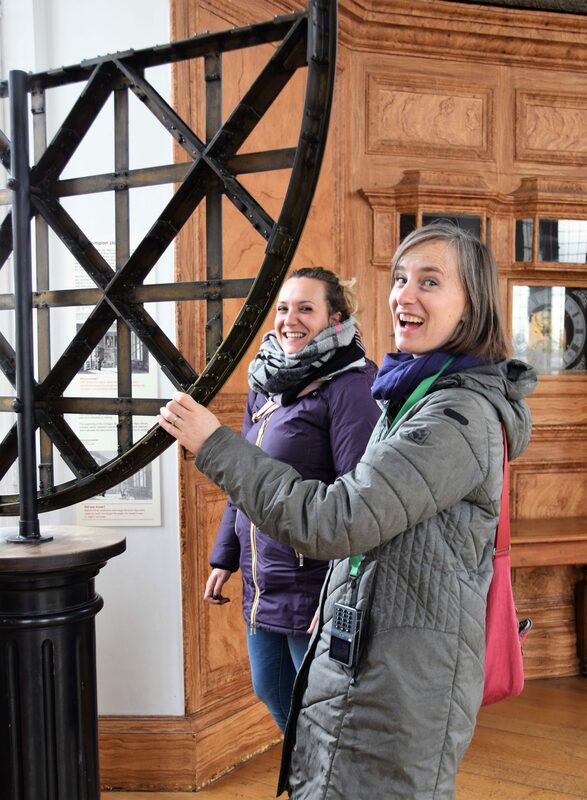 Later in history it became a centre of astronomy, navigation, and learning. 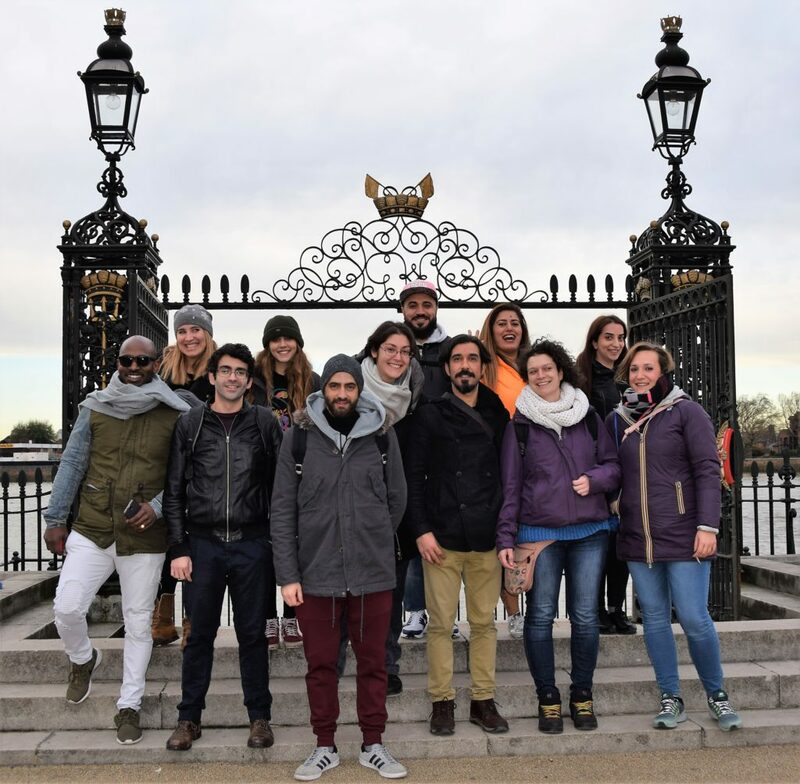 In this context Greenwich was the perfect place for Inglans to visit to learn about British history and practise using what they’ve learnt in the classroom in new and interesting environs. 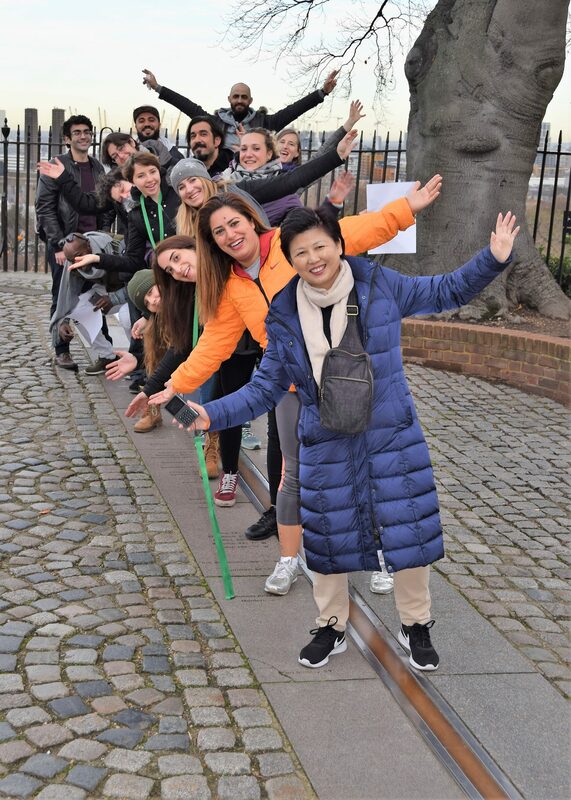 At the Royal Observatory we stood astride the Meridian Line that divides the world in half; our students half leaning East, half West, but everyone standing, feet firm, right down the middle. 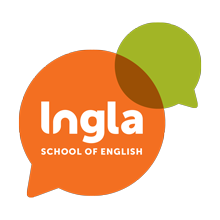 It was a perfect symbol of what we’re trying to achieve at Ingla – unity without conformity, harmony without false compromises. Everyone gets to be who they really are and has the opportunity to grow as a person. The Camera Obscura, too, was a big hit. Fifteen of us packed into a dark room to marvel at this ancient technology (a room-sized camera before the camera was invented), and spy on the National Maritime Museum from 500 yards away. 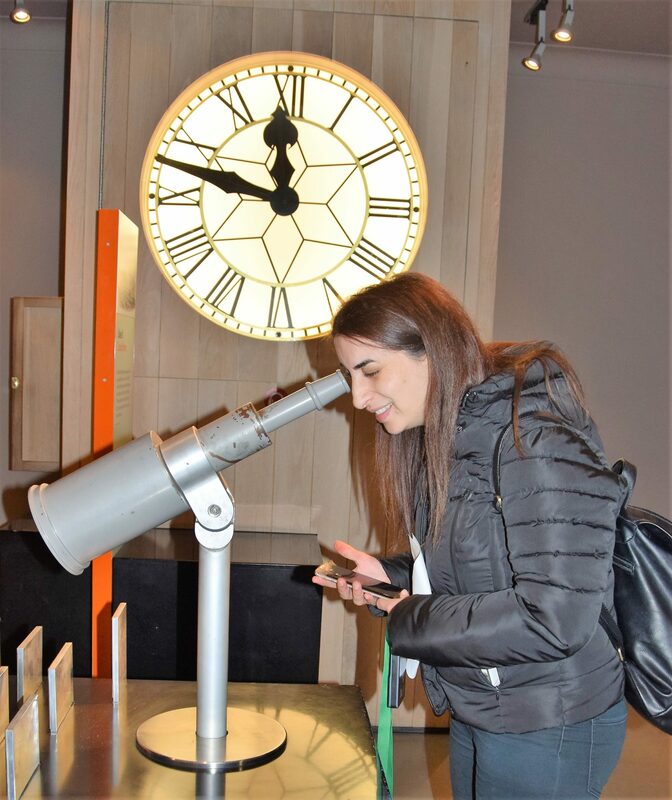 And Flamsteed House, with its interactive exhibits and carefully curated collection, held all the secrets of British navigation and timekeeping throughout the centuries. To learn a language is not just to learn vocabulary, grammar, and pronunciation but, also, to learn about the culture where it came from and how this shaped the language’s evolution. Our students got a full day immersed in some of the best of British culture. Finally, we ended our day in the Painted Hall, a wonder of 18th century British art, at the Old Royal Naval College. 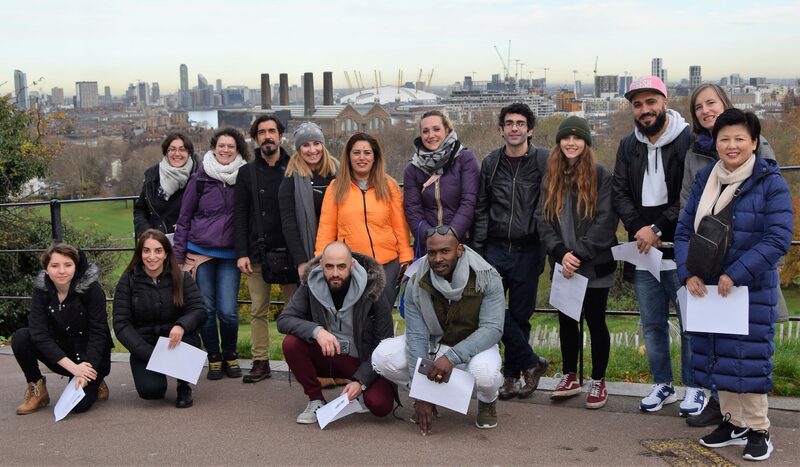 We were taken on an exceptional tour specially designed for ESOL students. 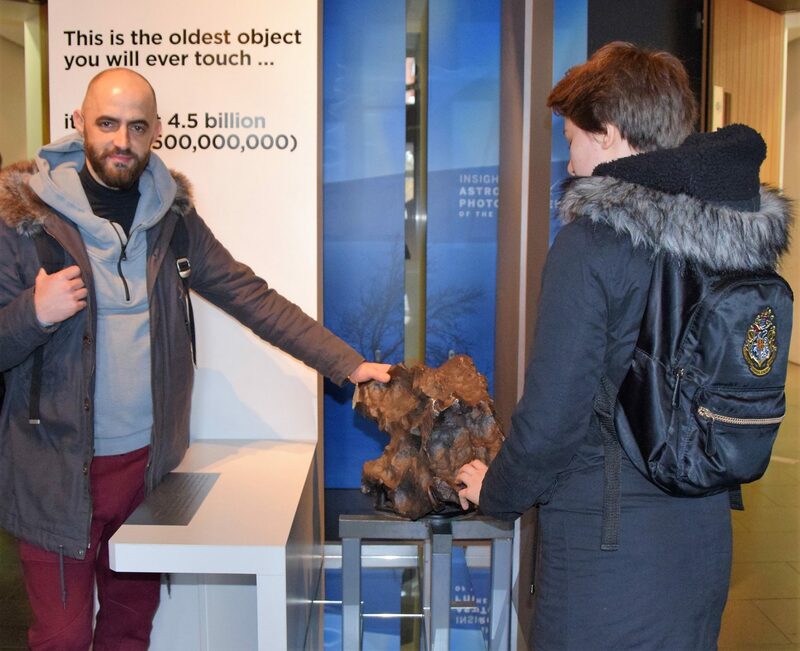 Our guides, Kori and Mike, gave an expert, hour-long interactive tour that touched on a wide array of topics on British History, Greek mythology, and seafaring lore. Our students followed excitedly in their hard hats and hi-vis vests, up a 67-step scaffold to within feet of the ceiling, across the length of the hall, into every nook and cranny, asking questions all the way. They really immersed themselves in the idea of learning outside the classroom, and had a rich experience for it.